This map is a portion of the Evans Patent issued in 1684 to Captain Evans of the Royal Navy but was overturned in 1698 and patents were issued. There are no clear landmarks other than the Wallkill River and the loop around Montgomery and a Lake that is probably Orange Lake. 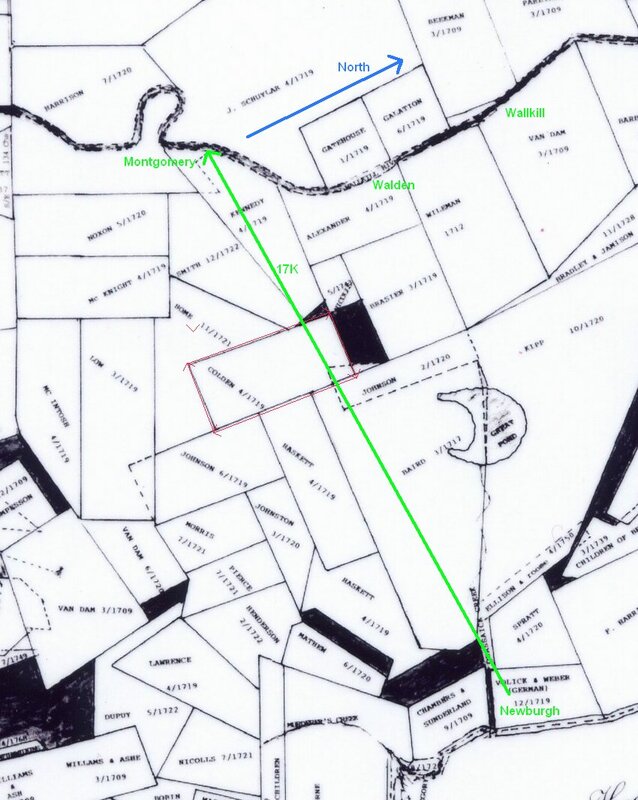 The line that indicates Route 17K is approximate based on the location of the German Patent that was Newburgh and the bend in the Wallkill River at Mongomery. It appears that the Colden property is too close to Montgomery but I'm not sure that maps at the time were too accurate and to scale.